If you’ve heard of affiliate marketing but haven’t actually dipped in here’s what you should know about this phenomenon. It is a relatively straightforward technique; in fact, in a technology-driven world that can obsess about everything from software versions to program glitches, it is the sheer simplicity of affiliate marketing that makes it so appealing. In the first instance affiliates don’t even require to be all that savvy when it comes to harnessing the power of marketing. You don’t need to have a degree in marketing or several years running your own company before you embark on this exercise. 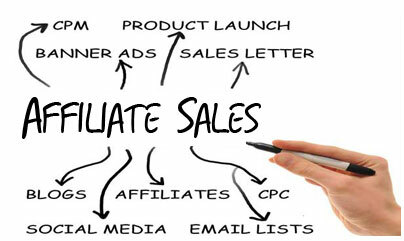 But to become an affiliate you do need a spark of entrepreneurial resolve. Firstly you need to establish a reliable web platform – your virtual shop. Now you can start to place advertisements from your client advertisers, or vendors. The next step in this reassuringly less than complex process is for you to generate sales figures when visitors browse through your web pages and shift units from the services and products that attract interest – the customers who are referred to whatever you have on offer. There is some overlap between affiliate and generic internet marketing techniques. The methods employed to promote products can be the same. But one difference is that affiliates can adopt less regular ways of popularizing their items. They might choose to post product reviews of whatever it is their enterprise partners are selling. The important aspect of affiliate marketing is that it harnesses the basic techniques the internet offers in terms of reaching a potential audience, from search engine optimization to designing attractive and magnetic landing pages. Pay-per-click advertising is the fuel behind the success of affiliate programs. Most affiliate marketers are straightforward business people doing their best to top up income by riding on the success of the vendor whose items they are advertising. Unfortunately, a minority of affiliates home in on the less savory aspects of the web, using false advertising or even spam to pester potential buyers into being unnaturally drawn to their products. Another weapon in their arsenal is forced clicks, deployed to drive traffic by tracking cookies that are launched on user computers. Most of the clients who are signing up affiliates to promote their products and services will oblige their marketers to sign disclaimers covering all of these unethical practices before they will even consider taking them onboard. The most common method of affiliate marketing is dependent on revenue sharing frameworks, run on a cost-per-sale basis. A smaller amount use cost-per-action. Marketers will employ in-house programs, while others adopt third party services where intermediaries handle the administrative side of the business, tracking sales and analyzing traffic. So much for the background to affiliate marketing. When the time comes to actually taking the plunge and signing up to a program you should do some research. There are many outlets such as TopOffers where you can gauge affiliate activity. You should take some time to discover which affiliate programs are liable to be most profitable. The good news is that these marketing programs and networks tend to be free to participate in. Joining a program will be dependent on the criteria set by the vendor. Some of these will sign you up regardless of whether or not you can demonstrate approval process. Others will expect to give your personal information a thorough inspection at the very least, and a detailed analysis of your web as a matter of course. The good news is that some networks will ingather hundreds of affiliate marketing programs under one conveniently organization.